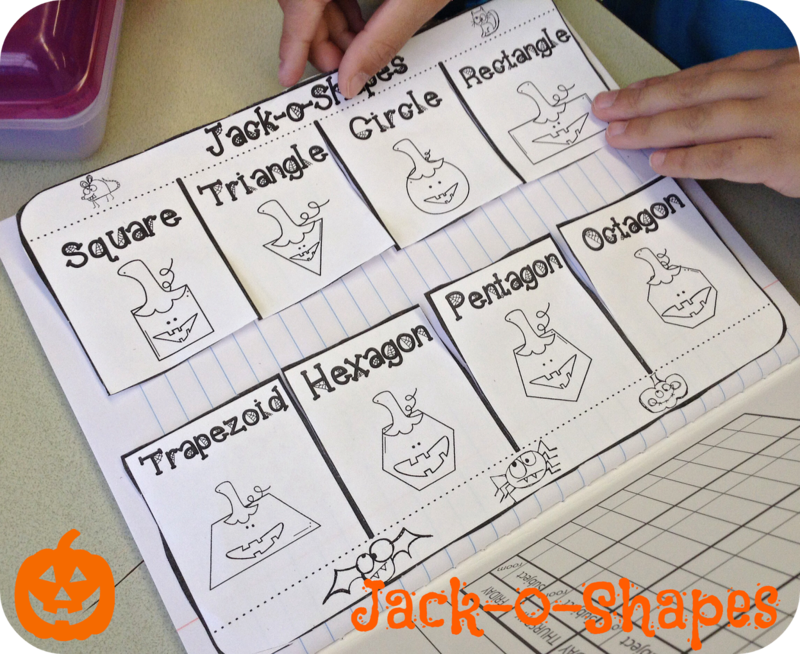 Primary Possibilities: Fun with Jack-O-Shapes! 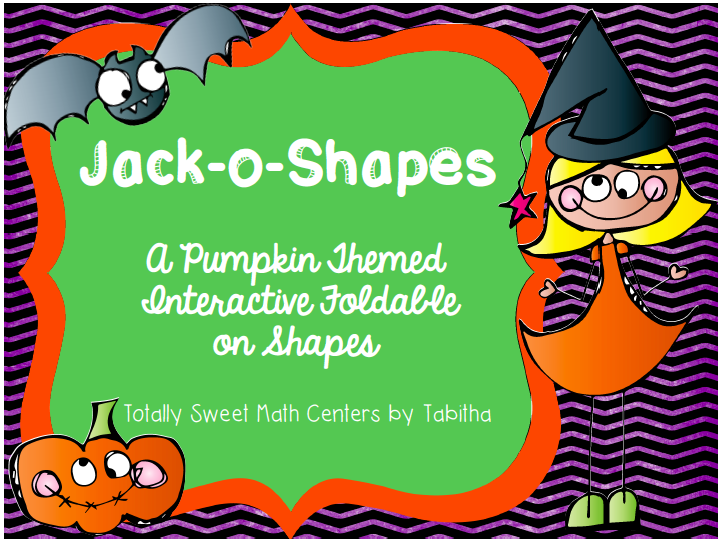 We are learning about shapes this week in first grade and we used this super fun activity from Totally Sweet Math Centers by Tabitha. 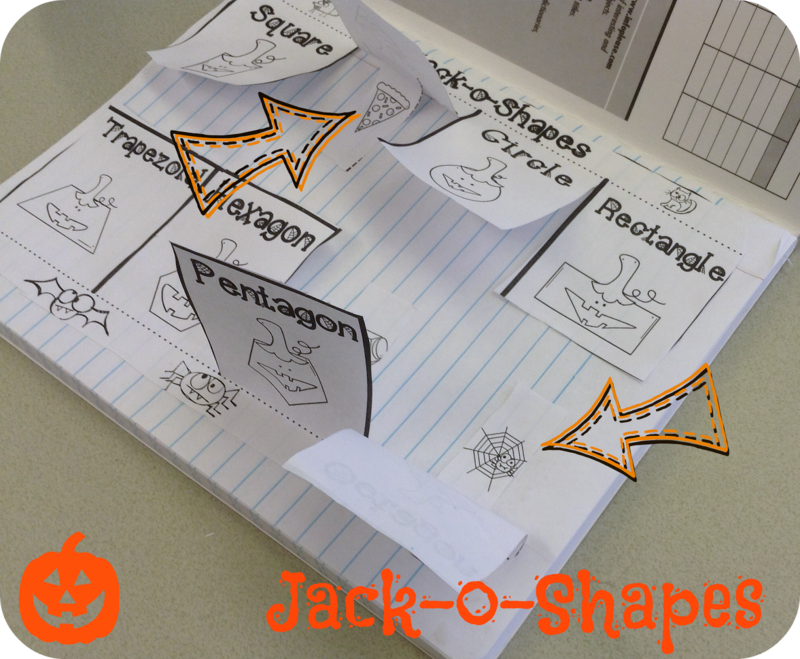 This is great activity to use in your interactive math notebooks! Students cut out both sides of the flaps and glue them down in the books. 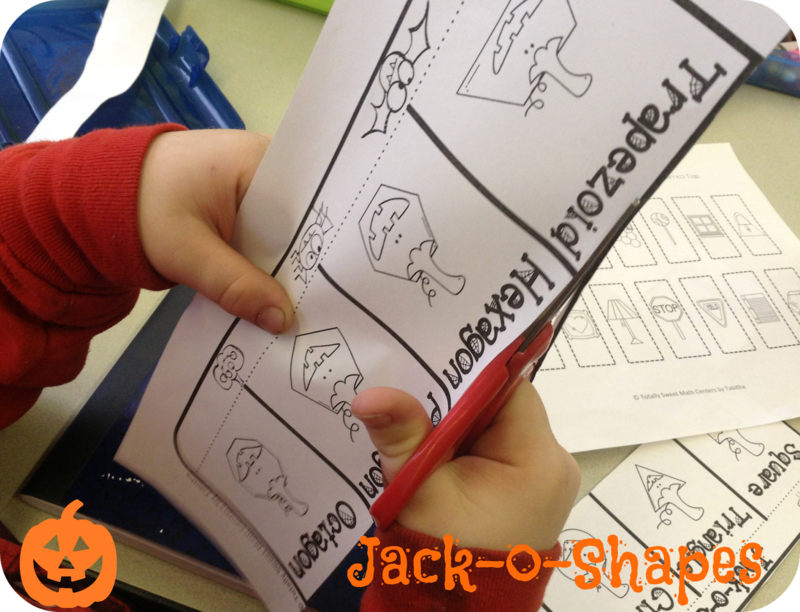 The shape pictures that go under the flaps are objects found the in the real world. The kiddos loved the pictures and examining them to find out how many sides they had. Halloween Fun in the Classroom!